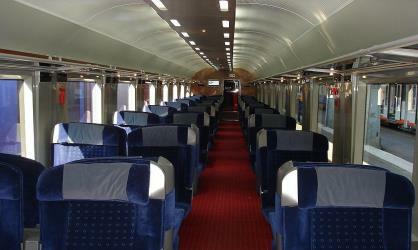 What is the cheapest way to get from Oradea to Bela Crkva? The cheapest way to get from Oradea to Bela Crkva is to train and drive which costs $14 - $23 and takes 6h 14m. What is the fastest way to get from Oradea to Bela Crkva? The quickest way to get from Oradea to Bela Crkva is to drive which costs $30 - $50 and takes 4h 15m. How far is it from Oradea to Bela Crkva? The distance between Oradea and Bela Crkva is 241 km. The road distance is 279.2 km. How long does it take to get from Oradea to Bela Crkva? 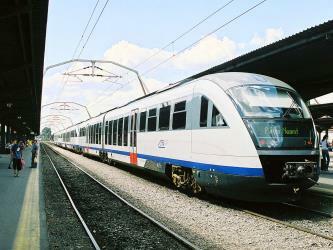 It takes approximately 6h 14m to get from Oradea to Bela Crkva, including transfers. What is the time difference between Oradea and Bela Crkva? Bela Crkva is 1h behind Oradea. It is currently 1:56 PM in Oradea and 12:56 PM in Bela Crkva. Can I drive from Oradea to Bela Crkva? Yes, the driving distance between Oradea to Bela Crkva is 279 km. It takes approximately 4h 15m to drive from Oradea to Bela Crkva. Where can I stay near Bela Crkva? There are 44+ hotels available in Bela Crkva. Prices start at RSD 2484 per night. 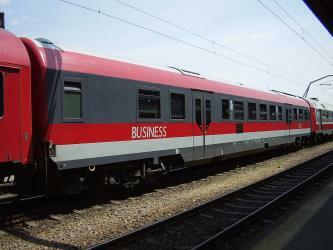 What companies run services between Oradea, Romania and Bela Crkva, Vojvodina, Serbia? You can take a bus from Oradea to Bela Crkva via Timişoara, Timişoara, and Nicolinț in around 7h 21m. Rome2rio's Travel Guide series provide vital information for the global traveller. Read our range of informative guides on popular transport routes and companies - including Train travel in Spain: A guide to Renfe, Getting around the Cyclades and How to get from London to Edinburgh - to help you get the most out of your next trip. Discover how to get to attractions and hotels near Bela Crkva. The Ram Fortress is situated on a steep slope on the right bank of the River Danube, in the municipality of Veliko Gradište, Serbia. Situated on a rock which is from the northeast side tilted towards the Danube River. It is assumed that the city was built on an opposite side of fortress of Haram, from which nothing was left today, and which is located on the other side of the Danube. The remains of the city are in good condition today. Viminacium (VIMINACIUM) was a major city (provincial capital) and military camp of the Roman province of Moesia (today's Serbia), and the capital of Moesia Superior (hence once Metropolitan qrchbishopric, now a Latin titular see). The site is located 12 km from the modern town of Kostolac in Eastern Serbia. The city dates back to the 1st century AD, and at its peak it is believed to have had 40,000 inhabitants, making it one of the biggest cities of that time. It lies on the Roman road Via Militaris. Viminacium was devastated by Huns in the 5th century, but was later rebuilt by Justinian. It was completely destroyed with the arrival of Slavs in the 6th century. Today, the archaeological site occupies a total of 450 ha, and contains remains of temples, streets, squares, amphitheatres, palaces, hippodromes and Roman baths. Židovar is an archeological site and settlement near Vršac, Serbia. The Mesić Monastery (Serbian: Манастир Месић / Manastir Mesić; Romanian: Manastirea Mesici) is a Serb Orthodox monastery situated in the Banat region, in the province of Vojvodina, Serbia. The monastery is situated near the village of Mesić, in the Vršac municipality. It was founded in the 15th century, although legend holds that it was built in 1225 by Arsenije Bogdanović of the Hilandar. 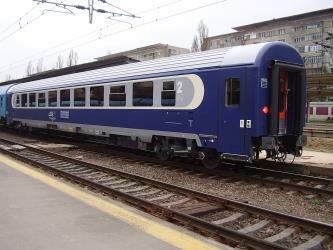 Rome2rio makes travelling from Oradea to Bela Crkva easy. Rome2rio is a door-to-door travel information and booking engine, helping you get to and from any location in the world. 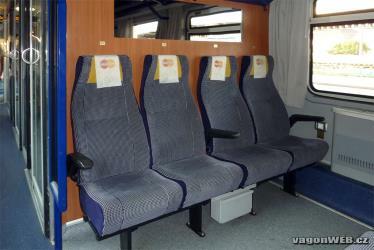 Find all the transport options for your trip from Oradea to Bela Crkva right here. Rome2rio displays up to date schedules, route maps, journey times and estimated fares from relevant transport operators, ensuring you can make an informed decision about which option will suit you best. Rome2rio also offers online bookings for selected operators, making reservations easy and straightforward.